Well with 2015 rolling in, I guess I'm starting another Project 365! I certainly hope I will be able to complete it this time! Something always gets in the way of taking a pic a day, and then I get discouraged and hang up the camera for awhile. I start these projects to help me become a better photographer....practice makes perfect, but then get stressed when the day goes by and I haven't taken any shots! Another reason for this project is forcing myself to get out and explore and challenge myself everyday. Hopefully I can get some healthy exercise out of it too! The biggest problem is downloading the pics and blogging, so I will not stress myself out about posting each and everyday. If I can, I will, but it'll probably wind down to once a week, and then I might take the best shots of the week to show. Sometimes I get desperate and snap pics of anything or selfies that are a waste of time posting. You can make a meme when editing in the Amazon Fire Phone. This was the best shot I got through the trees and freezing! My husband was "in" for New Year's Eve but was tired from working a 28 hour day the day before, so we went to bed early. Of course, our neighborhood didn't and i was woken up with the occasional fireworks. I could tell when it as midnight cause it sounded like the worst ever thunderstorm! As I looked out the window I could see the light flashes and decided to go out with my new Amazon Fire Phone to shoot a few shots. We do live in the woods and I went out with my nighties on trying to shoot between the trees. Not so successful, but I did get to try out my new phone and the video side too. I'm not very good at taking pics with phones or small digital cameras that don't have eye holes. I need my face to steady the camera! AND trying to take shots of fireworks through trees is crazy too! Later in the day, I took my Lensbaby out and shot some pics while doing laundry. I ordered the Lensbaby Composer Pro with Sweet 50 Optic. These were shot with the Muse and Single Glass Optic with 4x macro. See slideshow below. I will be posting images straight out of the camera every day for 21 days and then write a review on the Canon T5. I do have 30 days to send back if not satisfied, but I doubt that will happen, I'm having a pretty good time with this cam so far. 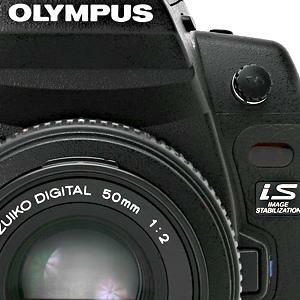 I think this is a great camera for the person on a budget, who wants professional success. . Some of my first shots with my NEW Canon T5! I actually have a Canon and I love it, but I'm not opposed to experimenting with different brands and lenses. I'm eying the new Fujifilm Instax Mini 8 Instant Film Camera. At $60, I think I may be able to make this purchase happen soon! I got Olympus - What type of Camera are you? You are one of the idealistic Olympians of the camera world. Always on the side of the weakest. A beacon to be seen from a long distance, upright but fading. A bit here, there and everywhere. Often ignored by the others and overlooked by their own kin. With so little room for the nice guys in this world would anyone really miss you if you decided to sell cars instead?